Already listed with our Phuket villa management / services & suppliers directory? Phuketindex.com provides searchable directory of property – villa management in Phuket. All kinds of professional property – villa management in Phuket are reliable and top quality services for you. 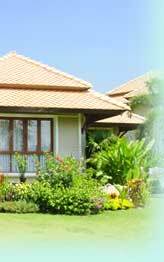 A complete solution of property – villa management in Phuket is contained in a list of Phuketindex.com. Horisun Ville features a wondrous tropical sunrise. Start your day invigorated by the sun's warming rays against the tranquil backdrop of an uninterrupted sea view. Pearl Real Estate Co., Ltd. is recognized as a real estate leader. We offer the convenience included an excellent selection of quality. Resources for home owner, Phuket Marbella Villa Management Service offers Complete Home / Garden Maintenance, Supervised maid service, Pool Maintenance, Expat Services, and so on.